The Diana Wortham Theatre in downtown Asheville, North Carolina announces the schedule of performances for the 2014/2015 Mainstage Series. The Mainstage Series presents a wide range of top touring artists in music, theater, dance, comedy, and other performing arts in an intimate, 500-seat hall. Tickets for all performances are on sale at 10:00 a.m. on August 21st and are available at www.dwtheatre.com as well as from the box office at (828) 257-4530. The theatre offers flexible multi-show discount packages starting with as few as three performances. Savings range from 10% to 20% off Regular prices depending on the number of performances; multi-show packages are available through the Diana Wortham Theatre box only at 828-257-4530. The 2014/2015 Mainstage Series season opens September 19, 2014 with Yesterday and Today: The Interactive Beatles Experience, a foot-stomping, sing-along sensational night bringing the songs of a generation that are woven into the tapestry of our lives, with a set list compiled according to the audience’s requests prior to the show and performed perfectly by the McGuigan Brothers: no wigs, no faked accents, no pretense, just the music exactly as it was recorded. The 2014/2015 Mainstage Special Attractions Series showcases four performances that cross multiple genres. One of Comedy Central’s 100 Greatest Stand-up Comedians and popular NPR’s “Wait Wait…Don’t Tell Me” panelist Paula Poundstone (October 9, 2014) entertains with wry wit and spontaneity. The pioneering physical theater company Cirk La Putyka presents Slapstick Sonata (November 7 & 8, 2014), an absurd yet poetic theater piece transcending acrobatics and contemporary dance. The warm sounds and merrymaking of the season shine in A Swannanoa Solstice (December 21, 2014 – two shows), a beloved holiday tradition featuring world award-winning recording artists Al Petteway, Amy White and Robin Bullock who are joined by a wealth of storytellers, dancers and special guest musicians, along with host, Doug Orr. And experience the awe-inspiring feats and gorgeous traditional music of The Peking Acrobats (March 14, 2015 — two shows), a troupe that has redefined expectations of Chinese acrobatics with daring maneuvers, precision tumbling, and spellbinding gymnastics. The 2014/2015 Mainstage Music Series at Diana Wortham Theatre features some of the nation’s top touring acts. Power trio Red June (November 15, 2014) seamlessly blends country, bluegrass, and American roots music with a dash of indie rock sensibility. Joining Red June are special guests Shannon Whitworth, well known for her time with The Biscuit Burners and her booming solo career, and her bandmate and guitarist Barrett Smith. Transcending genre limitations, the rich voice and distinctive cello of Shana Tucker (January 17, 2015) is a sultry fusion of soulful jazz-folk and acoustic pop, evoking the spirit of Americana greats such as Bill Withers and Esperanza Spaulding. As part of an international tour, Arlo Guthrie (February 13 & 14, 2015) brings The Alice’s Restaurant Massacree, in its entirety, along with other Guthrie favorites in this 50th Anniversary Tour. Natalie MacMaster and Donnell Leahy (March 4, 2015) two of the world’s most celebrated fiddlers, appear together as husband and wife in a new show, Visions of Cape Breton and Beyond, celebrating the unique heritage of their hometowns. Vocal acuity and sumptuous harmony are the hallmarks of the Grammy Award winning quartet New York Voices (April 11, 2015), whose incomparable blending, creative rearrangements, and infectious enthusiasm make their live performances an audio/visual delight. And Annie Moses Band is an ensemble unlike any in America today, blending fiddle, jazz, and classical influences with soaring, folk inspired vocals, creating a sound that is both refreshing and familiar. 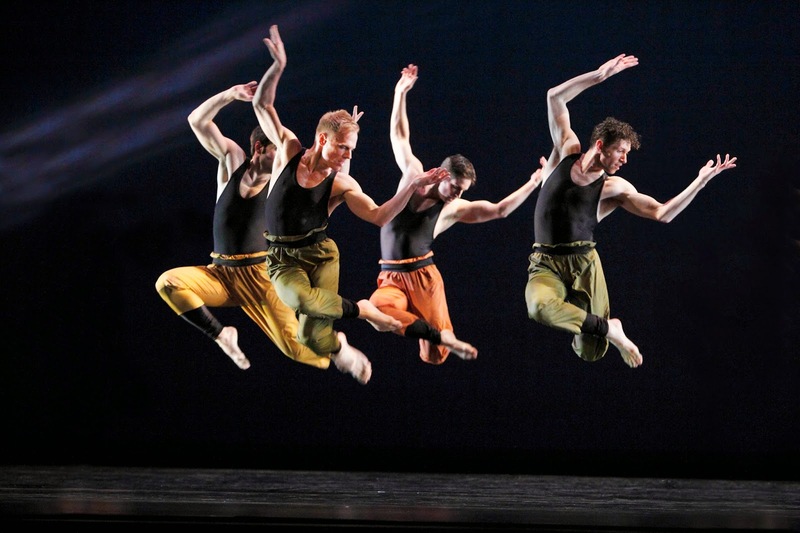 The 2014/2015 Mainstage Dance Series, recognized for offering some of the nation’s foremost dance companies right here in Asheville, opens with Paul Taylor Dance Company (October 17 & 18, 2014). Choreographer and cultural icon Paul Taylor is the last living member of the pantheon that created modern dance; with unrivaled creativity and monumental taste, his choreography offers observations on life’s complexities and society’s thorniest issues. Named one of Dance Magazine’s “25 to Watch” (2009), Kyle Abraham is also a 2013 recipient of a coveted MacArthur “Genius” Award. His company Abraham.In.Motion (March 24 & 25, 2015) flows from opera to rap, creating movement that is fresh and unique. And internationally acclaimed for its mix of humor and drama, the wildly creative and gravity defying Pilobolus (April 7 & 8, 2015) is back to wow Asheville audiences with its athleticism, invention, and grace. The 2014/2015 Mainstage Theatre Series features three compelling performances. Whether read aloud with family and friends or in solitude on a chilly winter evening, Dickens’ A Christmas Carol (November 28 & 29, 2014 – three shows) is a definitive holiday experience. Creator and remarkably versatile actor Jeremy Webb has re-envisioned this classic by creating a 25 character, family-friendly, one-man play with puppets for ghosts. Aquila Theatre Company brings two nights of unforgettable entertainment: first with Emily Brontë’s classic story of all-consuming passion, Wuthering Heights (January 30, 2015), which recounts the tale of ill-fated lovers on the lonely moors of northern England; and then on the following night the company presents a William Shakespeare’s The Tempest (January 31, 2015), a production imbued with magic, the supernatural, and a heightened sense of theatricality in the experienced, nuanced hands of the Aquila Theatre actors. Aquila Theatre’s “two plays in two days” afford audiences the chance to see the same remarkable cast in very different roles, often dissimilar in nature, in the same weekend. 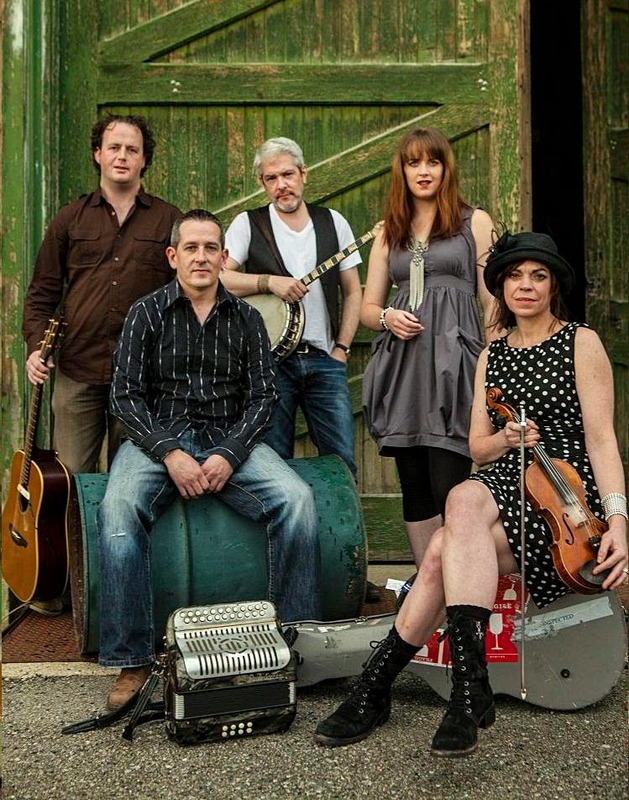 The 2014/2015 Mainstage Celtic Series presents four unforgettable bands in the Scots-Irish tradition. The quintessential Irish-American band Solas (February 27, 2015) presents Shamrock City, its most ambitious project to date. One of Ireland’s most celebrated exports, Lúnasa (March 26, 2015) is internationally acknowledged as being the finest Irish instrumental band of recent times. Canada’s Celtic ambassadors for more than 20 years The Barra MacNeils (April 30, 2015), bring their virtuosic talents to Asheville for an unforgettable evening of august and spirited music. And the delicate power of her pristine voice and the simple charm of her invitational presence make an evening with Karan Casey (May 15, 2015) a beautifully inspiring, soulful event. 2014/2015 Intersections Series Performances: The Intersections Series features two dedicated performances in the 2014/2015 season. A one-man storytelling tornado, Martin Dockery’s performances are dynamic, fast-paced, and hilarious. In Wanderlust: From Here to Timbuktu (January 22-24, 2015) Dockery acts out his winsome odyssey of dropping everything after ten years of temporary work, buying a one-way tickets to an unknown land, and believing that fate will necessarily reward him with an epiphany, any epiphany at all. And hailed as the most important narrative of its time depicting the life of a female slave, Harriet Jacobs’ astonishing and true story Incidents in the Life of a Slave Girl (February 27 & 28, 2015) is brilliantly dramatized by star of stage and screen, Cherita Armstrong. The Intersections Series performances are held in The Forum, a large multi-purpose space adjacent to the theatre and accessible from the theatre’s main lobby. The 2014/2015 Mainstage Matinee Series for Students and Families is a full schedule of shows to complement the classroom curriculum of area students and teachers and is open to school groups, homeschoolers, community groups, and families. Serving more than 9,000 students, educators, and families every year, the series features first-rate performances and detailed study guides designed by educators. This year’s Mainstage Matinee Series includes: Paul Taylor Dance Company (October 17, 2014), Theatreworks USA in The Lightning Thief (November 5, 2014), Warehouse Theatre in Shakespeare’s A Midsummer Night’s Dream (November 14, 2014), Aquila Theatre Company in Shakespeare’s The Tempest (February 2, 2015), ArtsPower’s Laura Ingalls Wilder (February 10 & 11, 2015), Theatreworks USA in Fly Guy and Other Stories (February 17 & 18, 2015), Young Audiences New York’s Literature to Life® presents Incidents in the Life of a Slave Girl (February 26 & 27, 2015), Kyle Abraham / Abraham.In.Motion (March 24, 2015), and Theatreworks USA in Curious George (April 14 & 15, 2015).